Wherever your mood takes you, you will find a place where you will forget time and enjoy every precious moment surrounded by art and nature. The trees growing in our natural gardens are 400–500 years old. ABBA resort was designed with the preservation of the trees in the surrounding areas in mind. 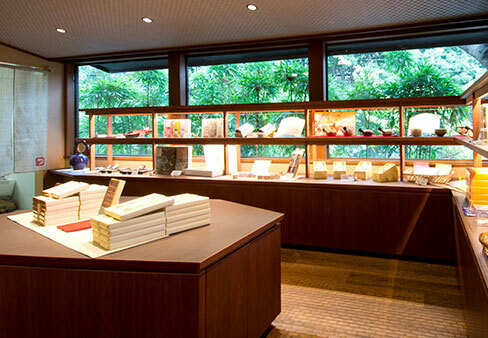 We The owner's private colleciton of Samurai swords, a number of valuable, precious works are on display. In the near future, we plan on displaying rare works exhibited for the first time in Japan.※ A reservation is required to view the gallery. exhibitions, after-parties, corporate events, and the like. 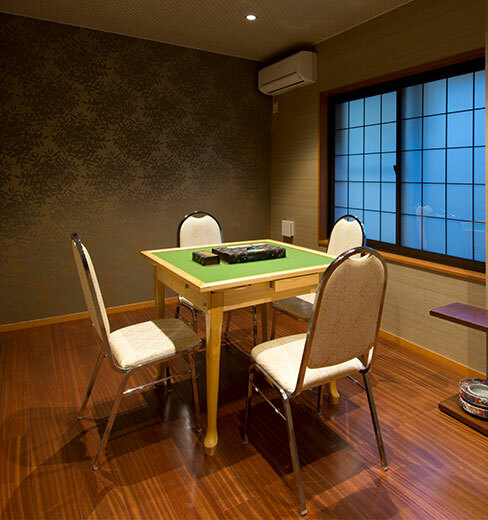 A recreation room with Mahjong tables is found on the 1st floor of the South Wing. The rooms are completely sound proof to prevent noise from leaking outside, allowing guests to use these rooms late into the night. This restaurant is open daytime as Tea Lounge Anzu. Please feel free to use it as a place of rest or for break after checkout. Lunch and various drinks are also available. Enjoy fabulous meet and seafood privately prepared by the chef right in front of you. 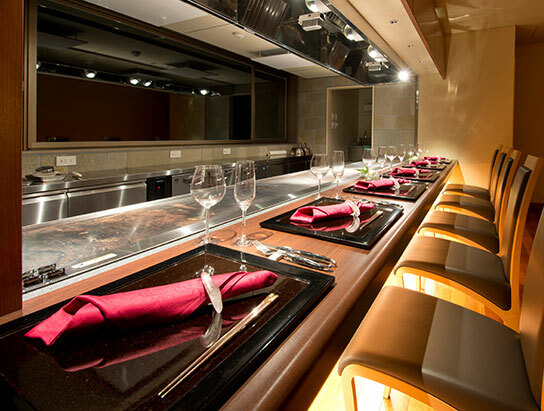 Only 6 guests available per Teppanyaki luxurious corner seats. 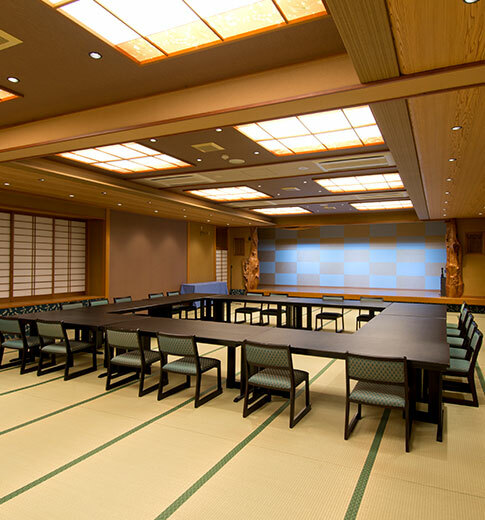 ＊Teppanyaki lunch is required reservation in advance. 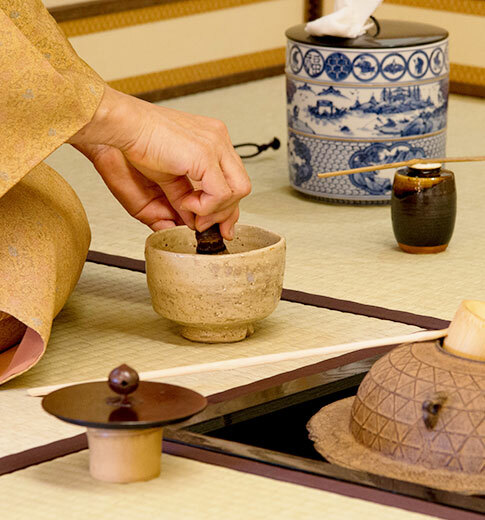 Experience an authentic Japanese tea ceremony in a real Japanese tea room with Nijiriguchi. Guests enter through an extremely small entrance by bowing their heads low. 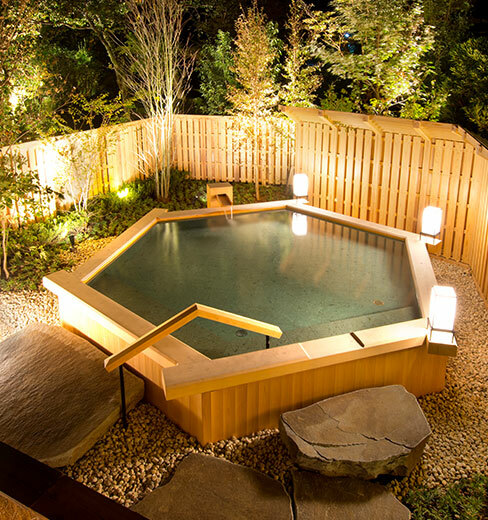 Our resort boasts of six different and well-equipped Onsen, including a large public bath with a view of bayberry trees, an outdoor bath in the garden, and an outdoor bath with a private view of Sagami Bay. Weak alkaline simple fountains offer our guests the wonderful and varied benefits of water from the hot springs.